The Berks History Center is an educational organization that serves to engage and excite our community by interpreting its unique past to understand the present and inspire the future. 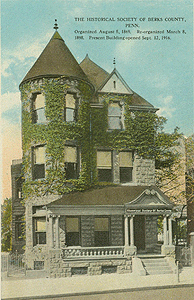 Founded in 1869, the Berks History Center (BHC) and Henry Janssen Library (HJL) are a museum and library located at 940 Centre Avenue and 160 Spring Street (respectively) in Reading, Pennsylvania. The BHC and HJL showcase the unique local history, a vast collection of artifacts and documents, and the diverse cultural heritage of Berks County. By preserving, archiving, and promoting our collection BHC and HJL serve to instill in our citizens of all ages and ethnic groups an awareness and appreciation of this invaluable, growing resource of information. The BHC and HJL serve as major cultural magnets, drawing people from all walks of life to our community. Every year, the BHC and HJL are visited by over 10,000 patrons visit from all 50 states and abroad. 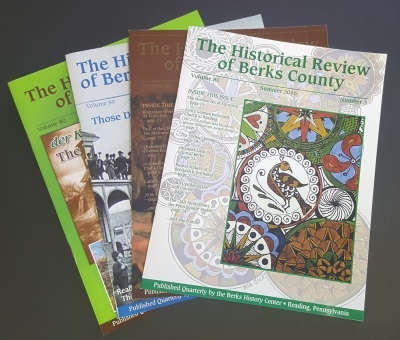 In July 1869, a call was made for interested citizens to gather “for the purpose of collecting and perpetuating the historical reminisces of Berks County.” Following the first meeting in August, the Historical Society of Berks County (DBA Berks History Center) was incorporated on December 13, 1869. The first president was the Honorable William M. Hiester. After a period of stagnation, President Albert G. Green revived the Society in 1898. Meetings were held in the Exchange Building located on North 6th Street in Reading, PA. The first female member was Kate E. Hawley, wife of the Reading Eagle newspaper founder Jesse G. Hawley, a charter member. The Berks History Center first started collecting objects in June, 1898. 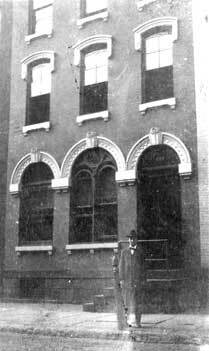 Our first building, purchased in June 1904 from the Reading Gas Company, was located at 519 Court Street. At that time, membership was 150. Less than ten years later, the burgeoning Historical Society needed a larger building, and J. Bennett Nolan led the search for a new structure. In the summer of 1928 the cornerstone was laid for the present building, and construction was completed the following year. Made of concrete and brick, it was designed to be a fireproof structure to house the collection and archives. The present facility was dedicated on October 1, 1929. 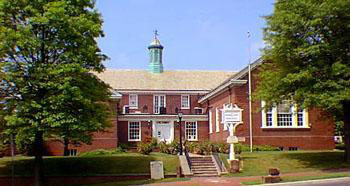 Needing more office, display, and storage space, the Historical Society embarked on a fundraising campaign in the 1980s. The new building addition was opened in 1988, providing the library with its own dedicated storage and research space. In 2005, again faced with the need for more storage, the Historical Society purchased the former M&T Bank building, located directly behind the Berks History Center at 160 Spring Street. After undergoing major renovations during most of 2008, the building opened in November 2008 as the Henry Janssen Library, a premier research facility. It now houses all of our special collections and archives. The Berks History Center has a vast collection of objects, paintings, books and photographs. Included in the library collection are over 15,000 volumes, 523 Fraktur, 345 broadsides, 30,000 photographs, 1,118 microfilms, an extensive multimedia collection, a currency collection, 170 almanacs, CD’s, sheet music, minute books, newspapers dating back to 1796, blueprints, surveys, 582 maps, autographs, city directories from 1856, business and industry files, personality and family name files, census records, business records, school records, Schuylkill Navigation Company and Union Canal plans, tax records from 1754, church and cemetery records, and 7,200 individual pieces of paper in the manuscript collection. Our computer database includes over 800,000 names, all available to the public. The museum has a vast and diverse historical object collection exceeding 20,000 items. Included are works of art by Ben Austrian, Jack Coggins, Ralph D. Dunkelberger, G.B. Kostenbader, Earle Poole, E.S. Reeser, Christopher Shearer, Victor Shearer, and Frederick Spang. The Society has a large transportation collection, including bicycles, a very rare horse drawn streetcar, a Conestoga Wagon, a Duryea automobile, and other wagons, some of which are on display at the Boyertown Museum of Historic Vehicles located in Boyertown, PA.